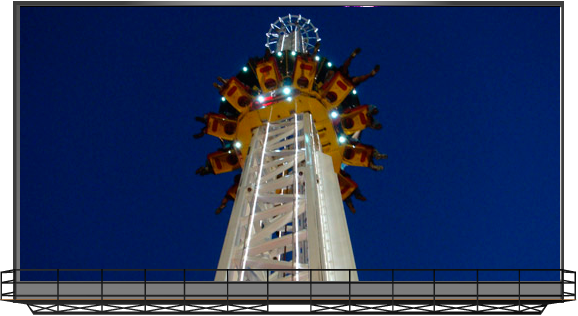 The Super Shot drop tower is co-produced by Larson International, Inc. and A.R.M., Inc. 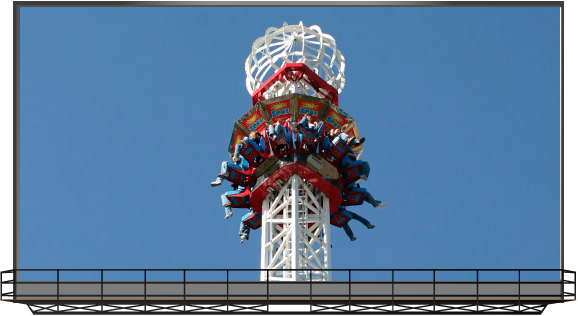 This towering structure requires a small footprint but delivers big time thrills. Guests load in the round 12 passenger gondola and are slowly lifted the entire height of the tower. 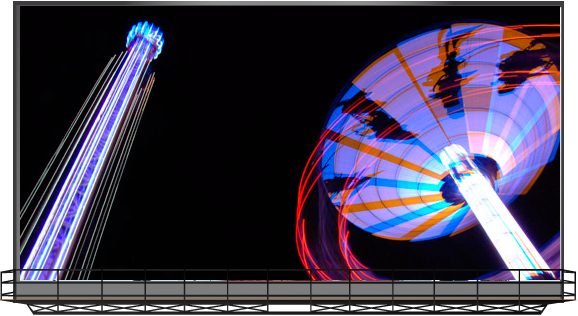 Once the gondola reaches the top, the vehicle is released at free fall speeds over 45 mph. The gondola enters into a magnetic brake zone and is smoothly captured at the bottom. 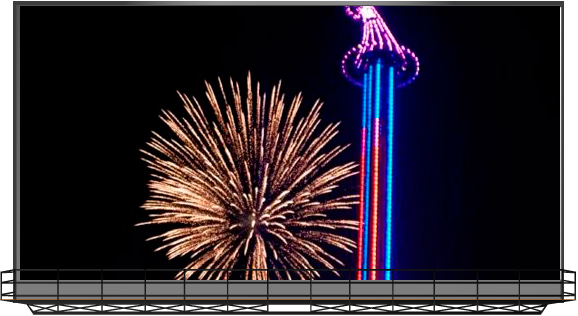 Combine the excitement of a high speed vertical drop tower with an LED light package and you have a very visible attraction. Drop a new Super Shot in your facility today. 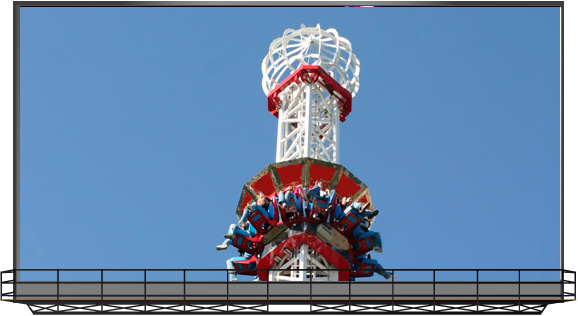 The SUPER SHOT is a thrilling drop tower providing customers with a breathtaking experience as they accelerate towards the ground from a height of 120 feet (36.6 m) reaching a maximum speed of 47 mph before entering a magnetic breaking area. The tower itself is a four-sided truss frame constructed with square section steel tubing, bolted together in sections that are manufactured lengths suitable for road transportation. The base of the tower is surrounded by a loading platform consisting of enter and exit steps and fencing. The gondola will carry a maximum of 12 passengers. Each seat is ergonomically designed and is equipped with an over-the-shoulder restraint system. The restraint is fully padded for passenger comfort and is adjustable within its range of operation limits. The secondary restraint crotch strap links the lower portion of the over-the-shoulder restraint to the seat structure. The trolley is a fabricated structure that carries and releases the gondola with the aid of two substantial hook units. 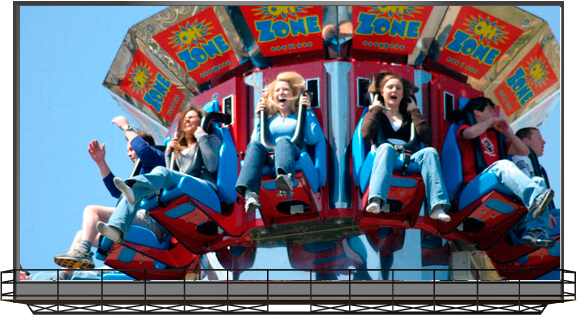 The automatic ride sequence is started by the operator. The trolley, with the gondola connected, is lifted toward the top of the tower taking approximately 60 seconds. At the top the trolley hooks are repositioned by a cam thus releasing the vehicle. Magnetic brakes are fixed within the gondola. When the gondola passes over the permanently affixed braking fins on the way down, it decelerates. The gondola is decelerated further by two self contained hydraulic cylinders then comes to rest on its chassis. The trolley, after release of the gondola and a timed 5 second delay, descends down the tower at a controlled rate and is mechanically re-coupled to the passenger gondola. 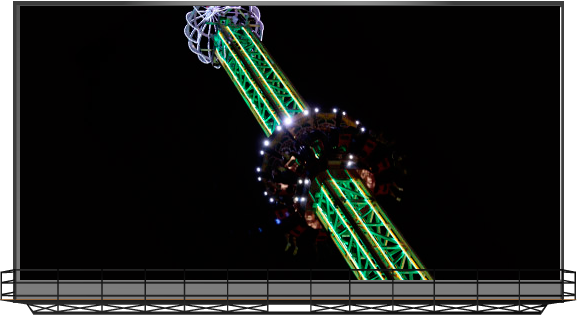 The Super Shot has LED lights on the tower along with LED spot lights on the gondola. Height Requirements: No one under 48″ (1.22 m) tall will be allowed to ride.